Phuket Marriott Resort Nai Yang is a beautifully designed hotel built in a unique location on the northern west coast of Phuket. In case you haven’t heard of Nai Yang Beach yet, it is a superb hideaway escape near the Sirinath National Park, far from the crowded beaches of south Phuket. The hotel has a lot of great features and so many qualities we did have lot to enjoy and discover during our 3-day stay. Phuket Marriott Resort Nai Yang is on the secluded Nai Yang beach, an immense bay close to the airport so you can start your holiday soon after landing, but far enough so you don’t have to worry about planes. 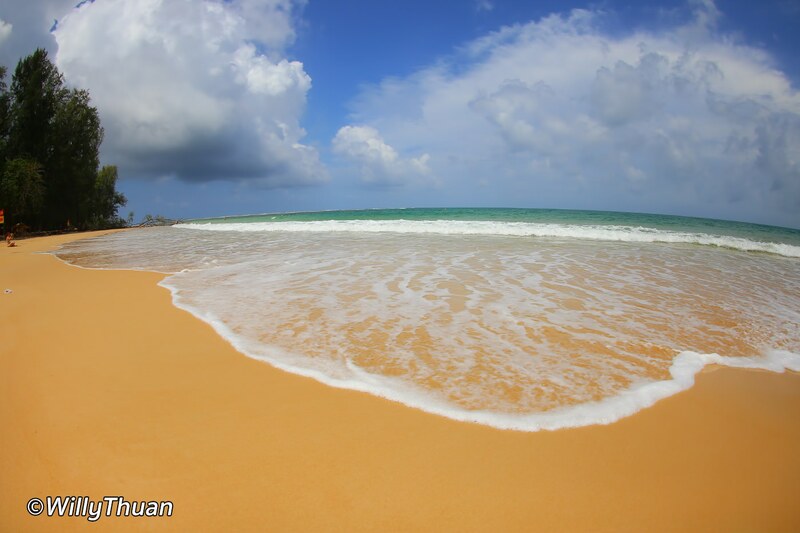 Nai Yang Beach is just next to a national park and therefore hasn’t changed much in the past 20 years. 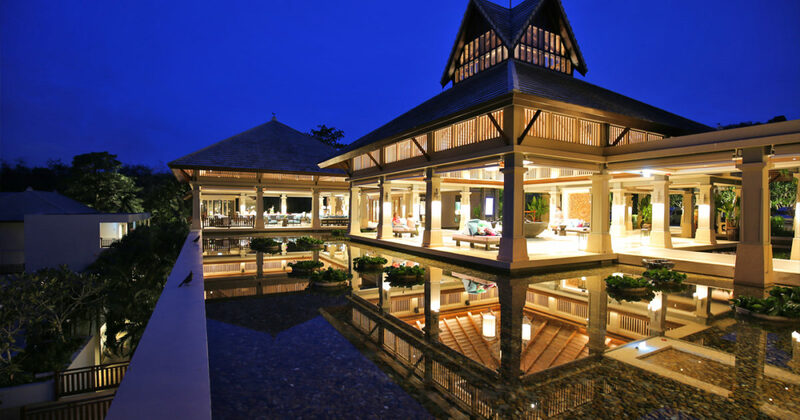 Travellers who don’t like how much Phuket has developed in the past decade will love this hotel and its unique beach. It’s a perfect timeless hideaway, surrounded by nature and the beauty of an immense sandy bay. Locals and those who know the place love to spend time in this national park. 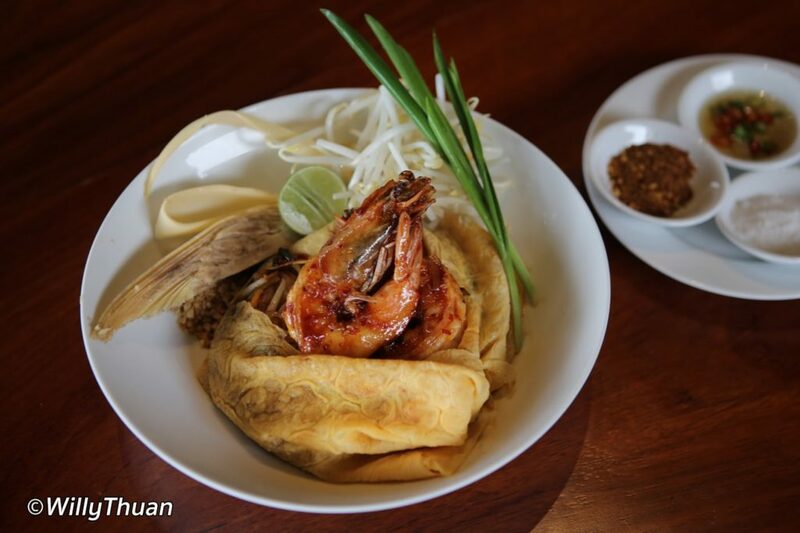 You can easily find real Thai food from the local vendors then relax under the immense trees or play in the sea. This is as close of the original Phuket as you will ever get. It’s not totally isolated either… a short walk will take you to a tiny beach front village where you can get drinks and food with your feet in the sand. 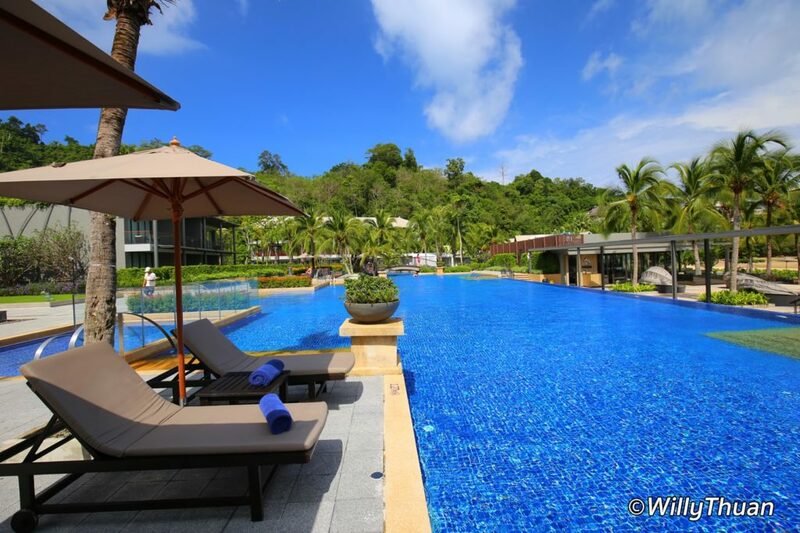 Phuket Marriott Nai Yang has 180 rooms and a lot of room types to choose from and since you opted for the relaxing part of the island, you probably will spend some time in it so the best are obviously all the pool access or the beach front villas. Large and superbly designed with modern Thai inspiration, beach front pool villas are obviously the best choice as they come with a garden in front and large covered sitting area. The sea is unfortunately not always visible from your bed, it would have been perfect. 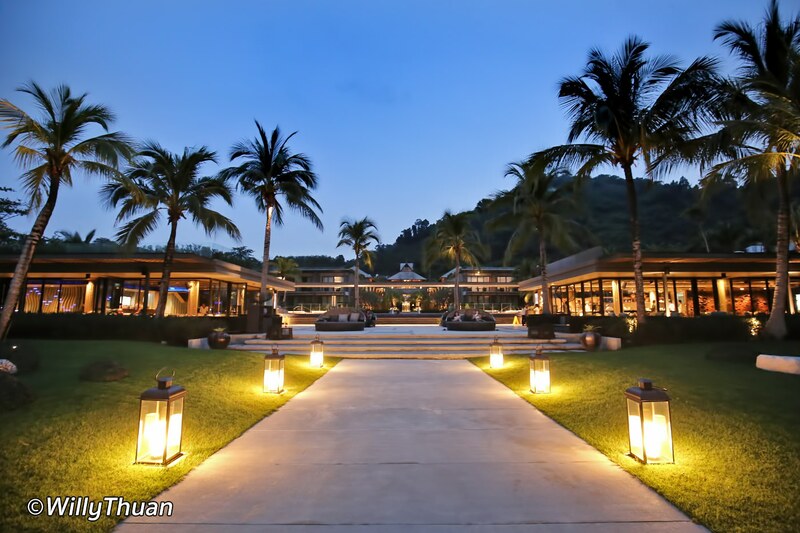 The Phuket Marriott Nai Yang counts 3 restaurants. ‘The Lounge’, ‘Andaman Kitchen’ and ‘Big Fish Bar & Grill’. Big Fish restaurant is clearly the most tempting since it’s located just by the beach and even better: most of the seafood comes from the little fishing village just next to the hotel! You get to eat the freshest seafood and you support the local community at the same time 🙂 In the morning you can sometimes walk to the small fishing boats and look at the catch of the day. 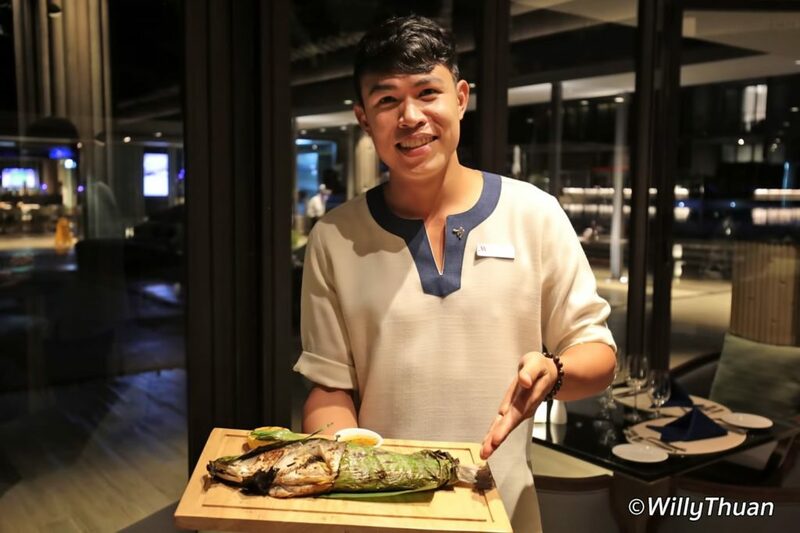 We tried one dish we usually love ‘Sea bass wrapped in banana leaves’. The success of such dish is to keep the fish natural flavor without overwhelming it, which obviously has to be great, so only great fish will do. And the young but talented Chet Tip did such a great work! With just a surprisingly delicate banana leave aroma and a light spicy lime sauce, it was so perfect we did order it again the next day. (And you can select from more than ten wines by the glass, it is a nice touch). You can also enjoy a light meal at ‘The Lounge’ near the lobby where they serve some really nice dishes such as Hamburger foie gras and some beautifully presented Thai snacks. Andaman Kitchen is the place where you will probably keep for breakfast. It’s a larger but cozy room with a really great choice of breakfast dishes, western or Asian (go for both since it’s a buffet, spoil yourself!) And the chef makes a great omelet! 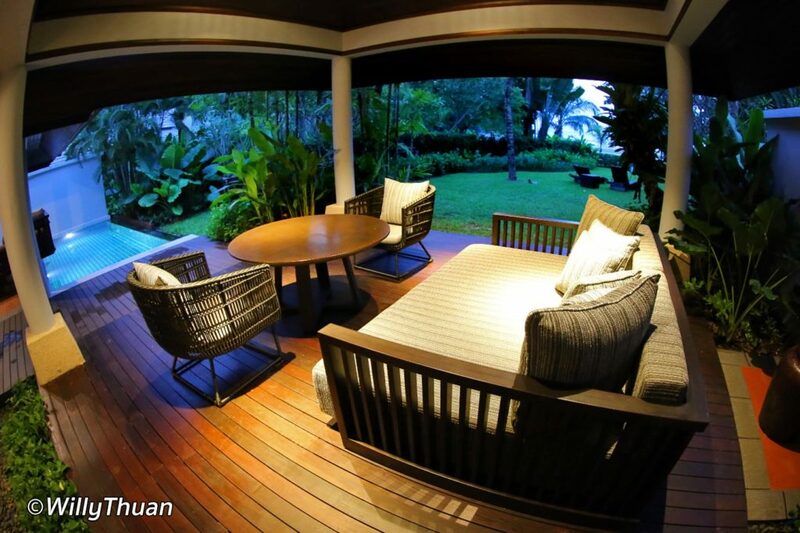 Quan spa is only four rooms but designed for instant relaxation. Treatments are great (and I’m not easily impressed) and therapists are really skilled… Gentle but strong pressure, just as per your request, and a large choice of treatments to choose from. 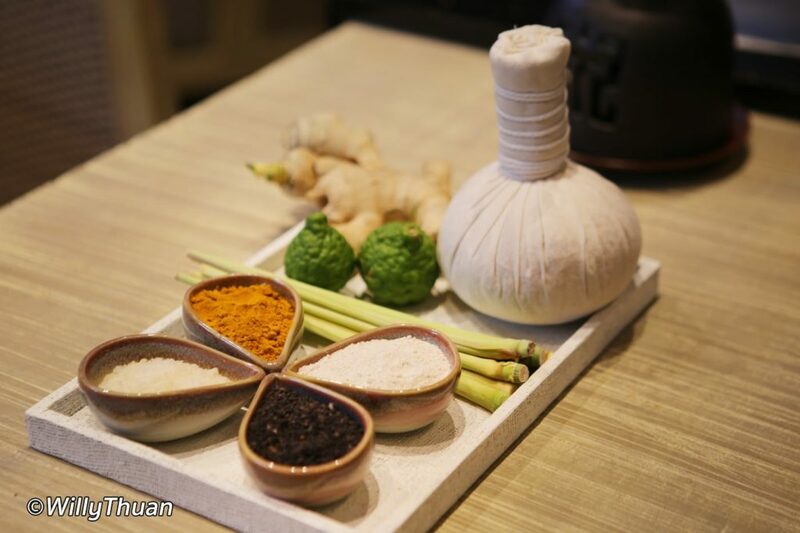 And here is a tip: their sunburn aloe wrap treatment is very efficient, you need to remember this since the sun of Phuket is a lot stronger than it seems! 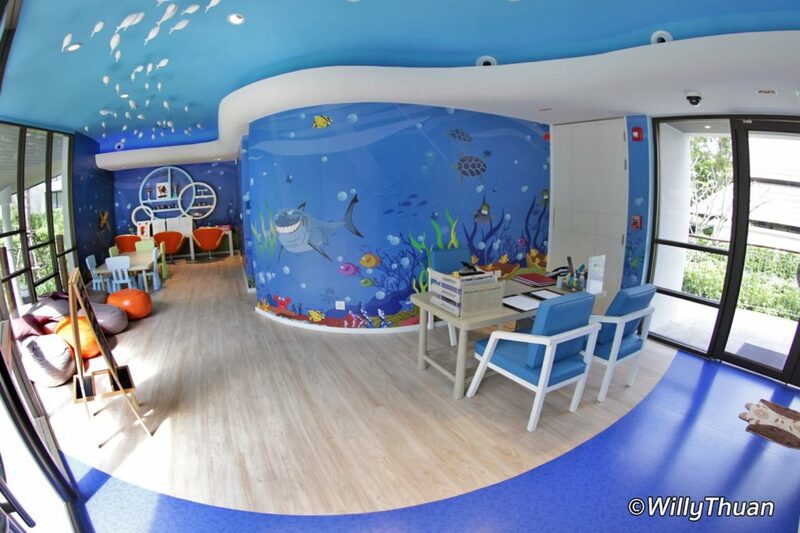 The kids club is bright, spacious and colorful with a large outdoors playground and a daily choice of fun activities. It’s a real nice place where your kids will have serious fun with a dedicated team. The club is near the central area of the hotel so you can even go say hi anytime. Kids from 4 years old can join, younger that this you will need to book a baby sitter 24 hours in advance. 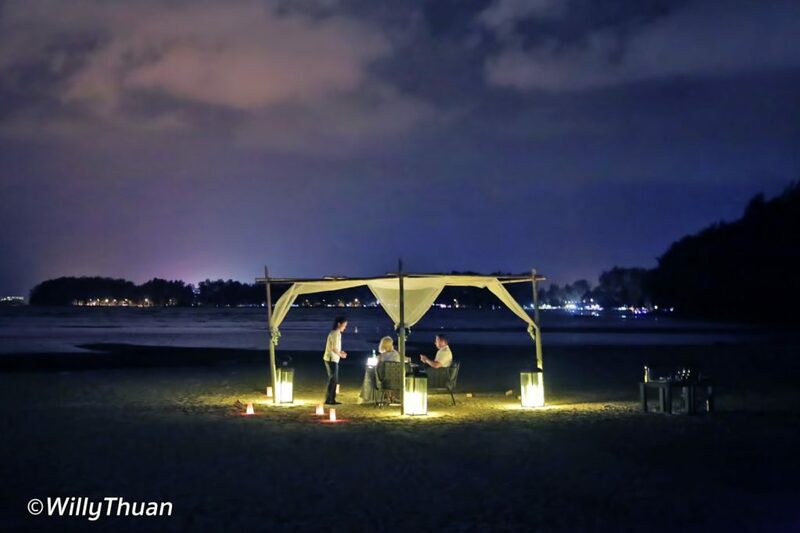 If you come with your loved one, and it seems that most customers do, you can treat yourself to the most romantic dinner ever: your feet in the sand and your head under the stars! That’s obviously if tide and weather permit… but how can you not try that! 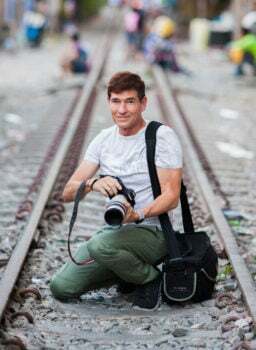 (starting 5,200 baht plus taxes). It may sound a little trivial but in an era where every travellers comes with computers, tablets, phones and cameras, getting enough plugs in old-fashioned hotels is frustrating. Phuket Marriott Nai Yang knew that, and we were impressed (we even took a picture)! 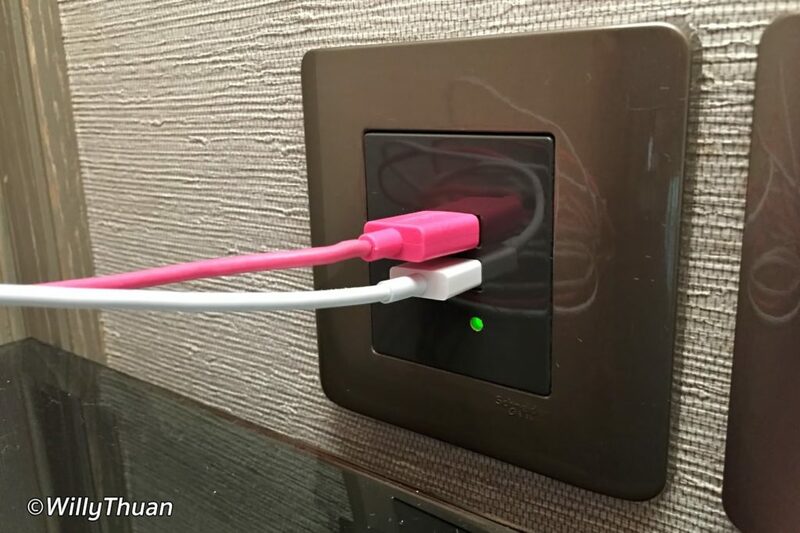 Not only there are more plugs than you can use, but they can also accommodate plugs from any country, and even better: there are no less than FOUR USB plugs in the walls, one set next to your desk and one next to the bed! How cool is that? Sure in 10 years it will come standard (or whatever plug we will use in 10 years) but that’s a great feature. The hotel crew is genuinely friendly, polite, caring and always smiling. This is Thailand hospitality at its best: you feel instantly home and relaxed. From the laundry lady to the gardener and the chef, people greet you with a natural smile and a Wai (the Thai way of greeting). In addition, it seems that most of the team speak a very good English. 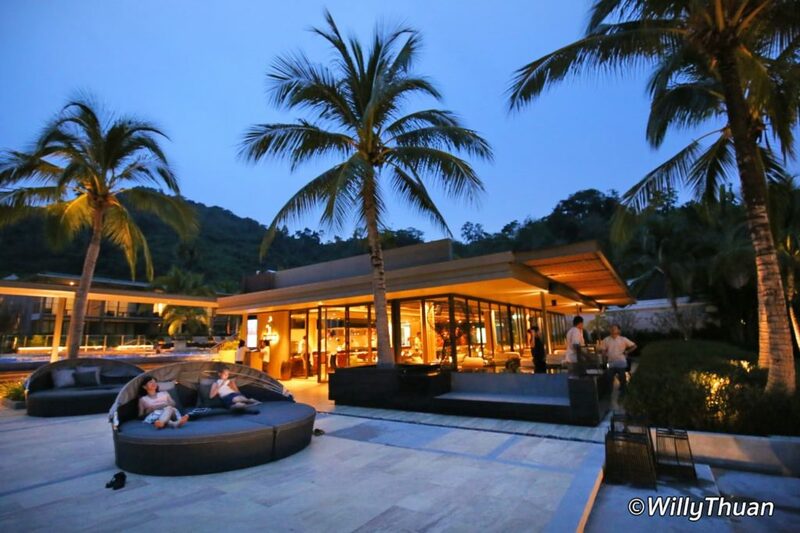 7 Best Nightclubs in Phuket ▷ What are the Best Clubs in Phuket?